Beginners to advanced players. 189 pp. 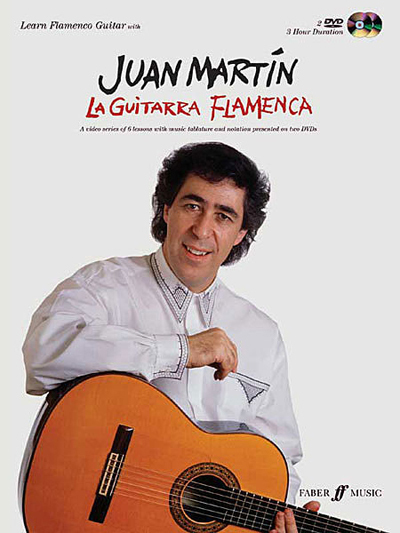 Juan Martin explains and demonstrates the essential techniques and rhythmic forms of Flamenco guitar playing in six progressive lessons, designed for all players from beginning to advanced. The lessons show you in detail many varieties of the basic rhythms which form the foundation of flamenco guitar styles. They also give a wealth of traditional and modern flamenco solos, accurately transcribed into music notation and easy-to-follow 'cifra' tabulature, all presented in a video series of six lessons. In this way you lear not only how to play but also what to play, as the lessons build into a substantial repertoire of flamenco music.